[241 Pages Report] The fiberglass market was valued at USD 13.17 billion in 2016 and is projected to reach USD 18.75 billion by 2022, at a CAGR of 6.1% from 2017 to 2022. Fiberglass is a type of fiber-reinforced plastic where the reinforcement material is glass, and the matrix is either thermoset or thermoplastic. The primary raw material used in fiberglass is glass which contains silica or silicate. Other raw materials used are oxides of magnesium, boron, and calcium. These raw materials are cheaper than its main substitute, carbon fiber and it is stronger and lighter than many metals. The composites segment dominates the global fiberglass market on the basis of application. The growth can be driven by extensive use of reinforced composites in construction, automotive, and wind energy applications. Some niche applications of composites include sports equipment and safety gear. Fiberglass is increasingly utilized in structural engineering applications, owing to its exceptional properties, such as high stiffness, high tensile strength, low weight, and high chemical resistance. Structural engineering applications include strengthening structures made of concrete, steel, timber, and cast iron. Fiberglass is also used in retrofitting of old concrete structures to increase their load capacity and flexure. The use of composite materials results in the development of lightweight and low-maintenance bridges, with high load capacity and low installation costs. Fiberglass is a common material used in the construction of decks. Fiberglass decking is increasingly utilized in residential applications to prevent splintering, rotting, and color fading. It enhances the durability and aesthetic value of structures as compared to traditional decking. Glass fiber rebars are used in mining and in the construction of roads and buildings, owing to their superior properties, such as high strength, flexibility, and temperature and moisture resistance. Fiberglass rebar concrete structures have an average life span of 50–60 years, with low maintenance costs, as they provide resistance to corrosion and deicing salt action, thereby enabling concrete structures to withstand harsh climatic conditions. Several infrastructure projects in the US and Canada use fiberglass rebars as concrete structure reinforcements. For company profiles, 2016 has been considered as the base year. In certain cases, wherein information is unavailable for the base year, the years prior to it have been considered. The research methodology used to estimate and forecast the global fiberglass market began with capturing data on key vendor revenues through secondary sources such as Hoovers, Bloomberg, Chemical Weekly, Factiva, and various other government and private websites. The vendor offerings have also been taken into consideration to determine the market segmentation. After arriving at the overall market size, the total market was split into several segments and subsegments, which were later verified through primary research by conducting extensive interviews with key personnel, such as CEOs, VPs, directors, and executives. Data triangulation and market breakdown procedures were employed to complete the overall market engineering process and arrive at the exact statistics for all segments and subsegments of the market. The breakdown of profiles of primaries is depicted in the figure below. The global fiberglass market has a diversified ecosystem of upstream players, including raw material suppliers, along with downstream stakeholders, vendors, end users, and government organizations. Companies operating in the global fiberglass market include China Jushi Co. Ltd (China), Owens Corning (US), PPG Industries, Inc. (US), Taishan Fiberglass Inc. (China), Chongqing Polycomp International Corp. (China), Nippon Electric Glass Co., Ltd. (Japan), and Binani 3B-The Fibreglass Company (India), Johns Manville Corp. (US) among others. 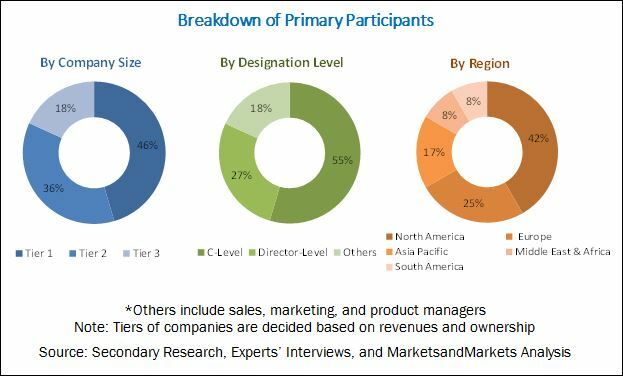 This research report categorizes the global fiberglass market based on type, application, and region, forecasting revenues as well as analyzing trends in each of the submarkets. The fiberglass market was valued at USD 13.95 billion in 2017 and is projected to reach USD 18.75 million by 2022, at a CAGR of 6.1% between 2017 and 2022. The growth of the fiberglass market is triggered by the the extensive use of fiberglass in the construction industry, use of fiberglass composites by the automotive industry for increased performance, and increasing number of wind turbine installations. Glass Wool is estimated to be the largest type segment of the fiberglass market. It is widely used in residential construction. These may be used in both, new and old construction projects. Rapid urbanization in developing countries and the increasing number of building codes in developed countries have increased the demand for glass wool insulation. Glass insulation products maintain a consistent temperature and improve comfort and air quality in buildings. Insulation also reduces energy consumption, provides protection from fire, and prevents unwanted noise. Composites is estimated to be the fastest-growing application segment during the forecast period. Fiberglass is used widely in the development of large-scale wind turbines. The R&D focus of blade manufacturers has mainly been on reducing the cost of wind energy. This is driving the use of fiberglass, as they are less costly than other fibers without compromising its high performance properties. Fiberglass also provides high tensile strength, helping manufacturers to achieve larger blades and higher energy output. Furthermore, fiberglass allows wind turbines to work in the toughest environments due to their corrosion resistance properties. Asia-Pacific was the largest market for fiberglass in 2017.India is the fastest growing of all the countries in the Asia Pacific. India is a developing country, which is experiencing rapid urbanization, global connectivity, and growing industrial development. This is increasing the growth prospects of the Fiberglass market in the country. Major Fiberglass manufacturers such as Owens Corning (U.S.) and Saertex Group (Germany) have established their manufacturing plants in the country due to the availability of low cost labor and raw materials. In India, Fiberglass are widely used in housing, pipes, construction of bridges and water purification plants, road and train transport, sewage disposal, chemical plants, electrical installations, wind turbine blades, marine vessels, and building applications. The strength-to-weight ratio of fiberglass is higher than steel and aluminum. Fiberglass is increasingly utilized in the development of automobiles, owing to its exceptional properties, such as high tensile strength, thermal insulation, and low processing time, as well as affordable cost. Several automobile manufacturers and glass fiber producers are venturing into the mass production of fiberglass automotive panels. Weight reduction, increased processing speed, and low VOC emissions are key factors driving the increased adoption of fiberglass in automotive applications. Automotive manufacturers are adopting fiberglass as a substitute to metals for the production of bumper beams, exterior panels, and vehicle interiors. Wind turbine blades are critical components of the wind power generation system. Fiberglass is used in the manufacture of wind turbine blades; it is inexpensive as compared to other fibers and encompasses exceptional properties such as high tensile strength. Thus, manufacturers of wind turbines are focused on the adoption of fiberglass to develop large wind turbine blades with high energy output. Furthermore, owing to the corrosion-resistant properties of fiberglass, wind turbine blades made of fiberglass can function effectively in adverse environmental conditions. What are the upcoming industry applications for fiberglass? Issues related to recycling glass wool and capital intensive production of fiberglass are some restraints in the fiberglass market. Key players operational in the fiberglass market include China Jushi Co. Ltd (China), Owens Corning (US), PPG Industries, Inc. (US), Taishan Fiberglass Inc. (China), Chongqing Polycomp International Corp. (China), Nippon Electric Glass Co., Ltd. (Japan), and Binani 3B-The Fibreglass Company (India), Johns Manville Corp. (US), among others, have adopted various strategies to increase their market shares. New product launches and expansion are some of the key strategies adopted by the market players to achieve growth in the fiberglass market. 12.1 China Jushi Co., Ltd.
12.5 Nippon Electric Glass Co., Ltd.
12.7 Taiwan Glass Ind. Corp.
12.9 PFG Fiber Glass (Kunshan) Co., Ltd.
12.10 Asahi Fiberglass Co., Ltd.